Set to Tchaikovsky’s illustrious score, The Nutcracker follows Clara and Hans-Peter on a glittering journey through the enchanting Kingdom of the Sweets, where they encounter a memorable cast of characters, including the mysterious magician Drosselmeyer and the shimmering Sugar Plum Fairy. Created in 1984, Peter Wright’s captivating production features sweeping set designs by Julia Trevelyan Oman, which transport the audience from a festive fireside celebration to sparkling snowscapes, complete with a resplendent, larger-than-life Christmas tree and a plethora of enchanting effects. 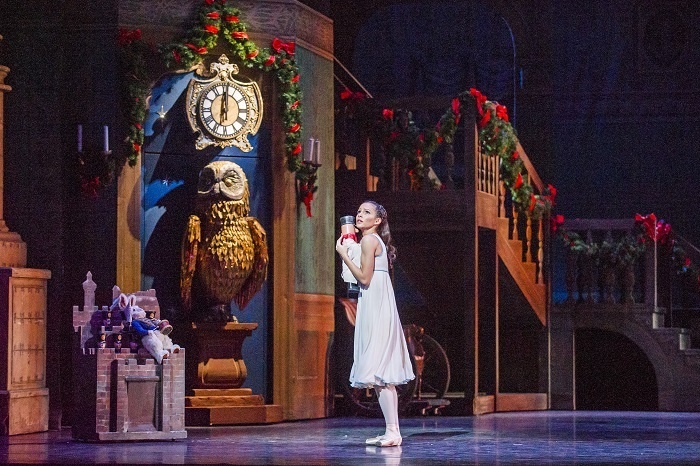 With dance highlights including an array of mesmerising corps de ballet choreography and iconic pas de deux, The Nutcracker is a seasonal showstopper not to be missed. Director of The Royal Ballet, Kevin O’Hare, reflected: “Christmas isn’t complete without The Nutcracker, and I’m thrilled to be reviving Peter Wright’s production this festive season. During this run, Kevin Jackson, principal artist of The Australian Ballet, makes his Royal Opera House debut in the role of the Prince. This forms part of an artistic exchange which sees Royal Ballet Principal Alexander Campbell performing as the Prince in Alexei Ratmansky’s production of Cinderella with The Australian Ballet. Tickets, priced from £6-125, can be purchased here.